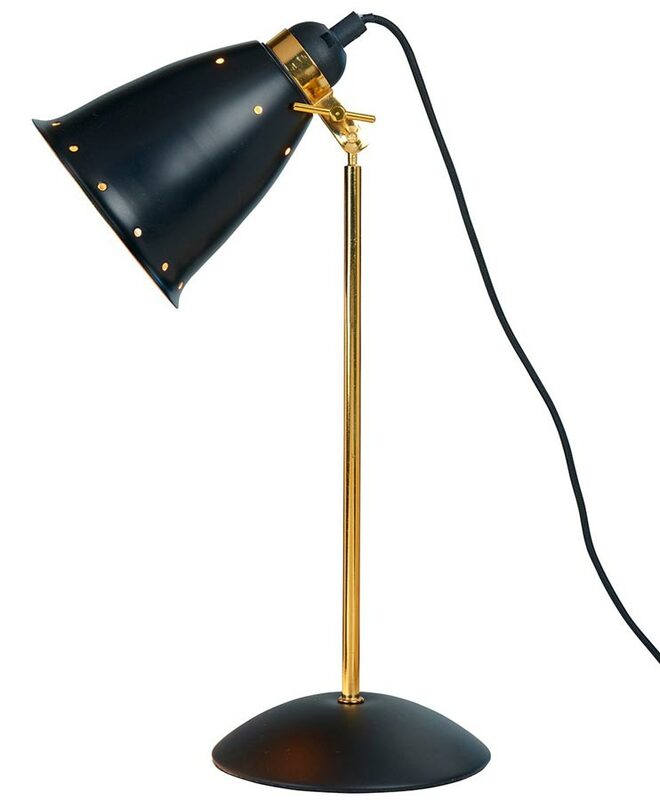 This Kafe deluxe retro style adjustable desk lamp in black and gold finish features vintage style, with domed circular base in black, slender stem in bright gold finish and black adjustable cone shade, boasting a gold inner to direct the light just where you need it. Fitted with vintage style black fabric flex and inline cable switch. 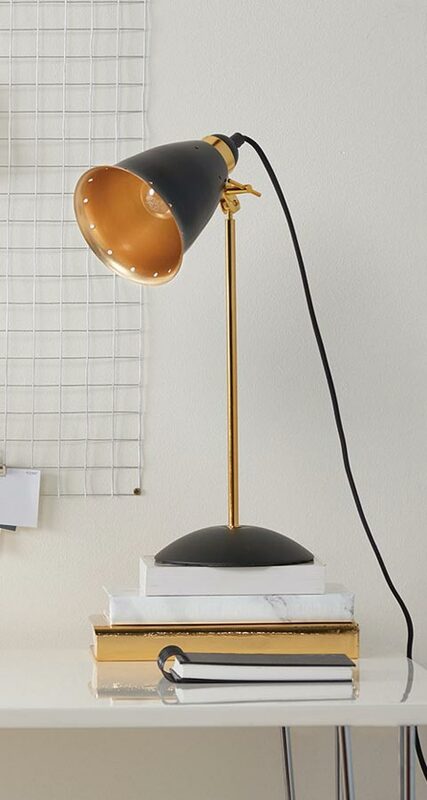 An on-trend desk lamp that fits with almost any stylish interior and great for the home office, study room, kids bedroom or alongside your chair for reading or any other task. The Kafe range is available in a variety of finishes; please see below.